Meet the team: a group of creative souls that are dedicating their time and passion to make your day. Originally from Romania and growing up under tough conditions in communism, Florin can say that he lived on both sides of the wall. After the Revolution in 1989 he, and the entire Romanian people, had to adapt to capitalism and find a career. Because of his personality, Florin was attracted by the entertainment industry and in particular by acting and film making. Today, after 20 years in the industry, Florin is continuing his actor career in Canada acting on stage and in movies, producing and directing short films and documentaries and extending his writing skills from film scripts and commercial copy-writing to becoming a published author and public speaker. 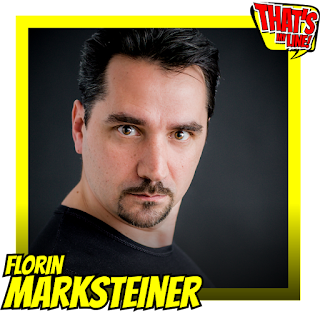 Florin is the host and the owner of Productionmark, the production company of the show. J. Robert Bellamy is a homegrown personality of Chatham-Kent that has recently started to live some of his dreams. He is a talented and prolific producer/ actor / director and one of the founders of the film production company JX3 Media Productions that has been filming in Chatham-Kent and South Western Ontario using local and international talent. 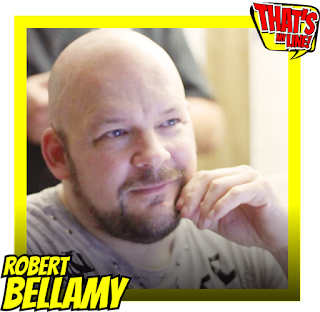 He is also one of the creators of CKX, Chatham's very own ComicCon that sees great success and growth every year. 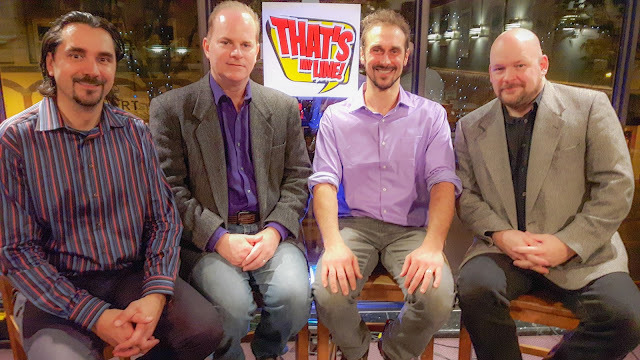 Along Jason Bechard and Mike Lutz, Rob is a member of the team that produces the well known podcast The Movie Madhouse, a great show for movie enthusiasts. Alejandro Pacheco is a passionate creature who enjoys the thrill of live performance. 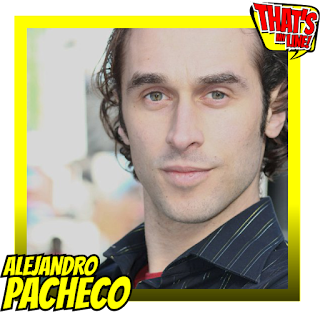 With four years of New York City acting training, as well as multiple stage productions of scripted material behind him, he comes entirely unprepared to tackle the hilarious task of improving with the likes of his peers in the That's My Line team. Hopefully his devilish charm and look-like-he-knows-what-he's-doingness will suffice to carry him through this endeavour to bring the Chatham public a chuckle or two. Joseph Benoit is a bilingual composer from Chatham-Kent. While working on his music degree from the University of Windsor, he wrote children's safety songs and other music for the Chatham Police Department, including the Elmer the Safety Elephant song with Heather Siddal of Thamesville. He was recruited by Paulette Richer of Radio-Canada (CBC French) to compose, perform and help produce music for various local, regional and national broadcasts as a solo artist and for other francophone performers. He is a founding member, song-writer and musical director of the French-language pop band awi, which has performed in Ontario and Québec at suche events as the prestigious La nuit sur l'étang in Sudbury and Le Festival Franco-ontarien in Ottawa. He also composed and performed for the Olympic Torch Run in 2009. Joseph is also the composer of the holiday musical The Littlest Rockette, written with bookwriter/lyricist Jenne Wason, New York-trained and currently living in Chatham-Kent. 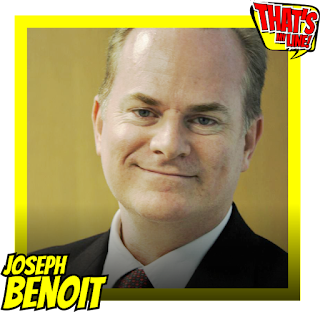 As an actor, Joseph has played lead roles in musicals such as Spamalot, and Brigadoon as well as in non-musicals such as The Importance of Being Earnest, and The Lion the Witch and the Wardrobe. Joseph keeps his improvisational chops up by participating in friendly tournaments at La Girouette, Chatham-Kent's own francophone cultural centre almost right next door to Glitters Fun Eatery on King Street in Chatham. 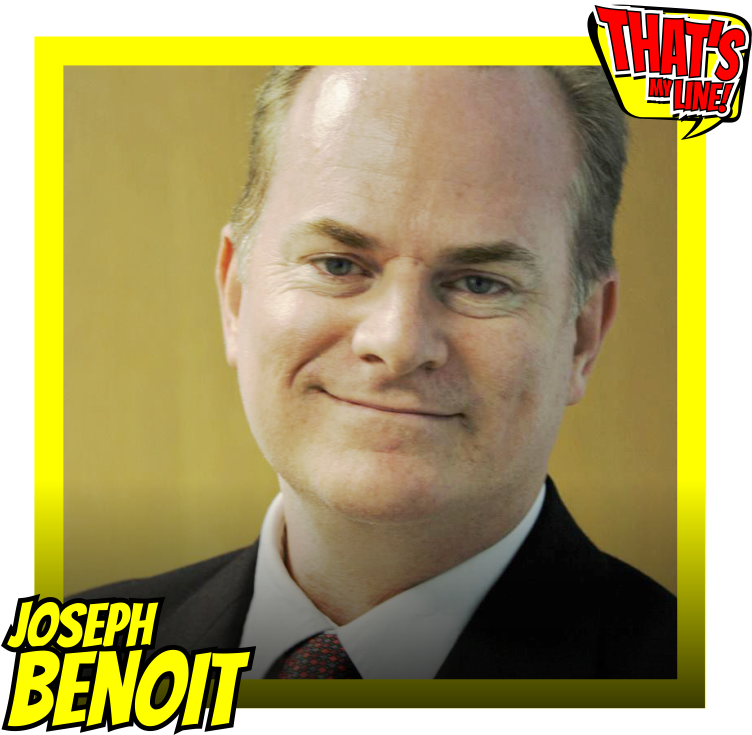 You can find out more from his Website, www.josephbenoit.com. Joseph is our musical director. Now that you "met" the team, it's time for you to get your tickets and come to the show! We'll make your day!